Peter Chang, MD, joined Grace Health in 1994 as a Family Practice Physician. He served as Chief Medical Officer from 1996 until November 2009 while continuing to provide care for patients on a daily basis. In January 2016, he resumed the position of Vice President/CMO. The Board of Directors appointed Dr. Chang as the President/CEO, effective July 1, 2017, after the previous President/CEO, Dr. A.J. Jones retired. Dr. Chang received his Doctorate of Medicine from the University of Kansas School of Medicine and became Board Certified by the American Board of Family Practice. He also obtained a degree in the Executive Masters Program in Health Management and Policy from the University of Michigan. He received training in acupuncture through the Academy of Pain Research. Dr. Chang believes in Grace Health’s mission that all people have the right to quality health care and deserve to be treated with dignity and respect. He has demonstrated this by his commitment to our patients and by volunteering his time on mission trips to help those in need of medical care. 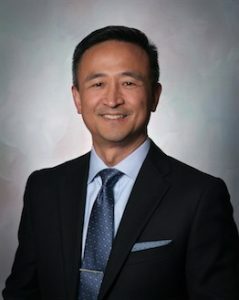 Some of the committees Dr. Chang served on include: Graduate Medical Education Steering Committee for Bronson / WMU Medical School; chair of the Family Practice Department at Battle Creek Health System; and Calhoun County Medical Society Executive Committee / Michigan State Medical Society.